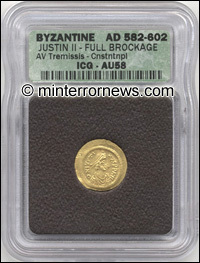 This is a 1400 year old Byzantine Gold coin that is a first strike reverse brockage of the obverse. It is almost in Mint State condition and shows incredible detail. 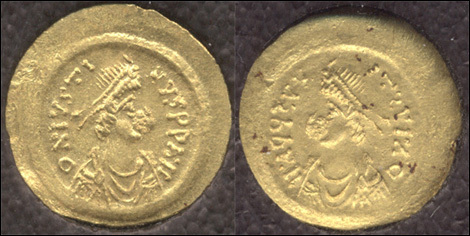 Full brockages on ancient gold coins are extremely rare. The few that I have handled were overstruck by the dies in an attempt to correct the mint error and save the coin. This piece was not overstruck and shows the full brockage.